With an immense sense of satisfaction and fulfillment, we are happy to share you with that, the fourth book ” Blind Chart Analysis – Predicting past and background of unknown people ” has been published by our Guest Scholar and Author ” Guru Rajesh Kotekal “. 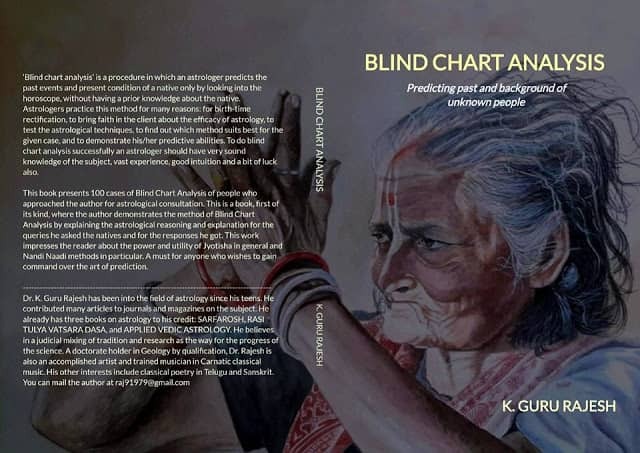 ‘Blind chart analysis’ is a procedure in which an astrologer predicts the past events and present condition of a native only by looking into the horoscope, without having a prior knowledge about the native. Astrologers practice this method for many reasons: for birth-time rectification, to bring faith in the client about the efficacy of astrology, to test the astrological techniques, to find out which method suits best for the given case, and to demonstrate his/her predictive abilities. To do blind chart analysis successfully an astrologer should have very sound knowledge of the subject, vast experience, good intuition and a bit of luck also. In the Previous Free e-book version author has explained only 10 cases briefly. 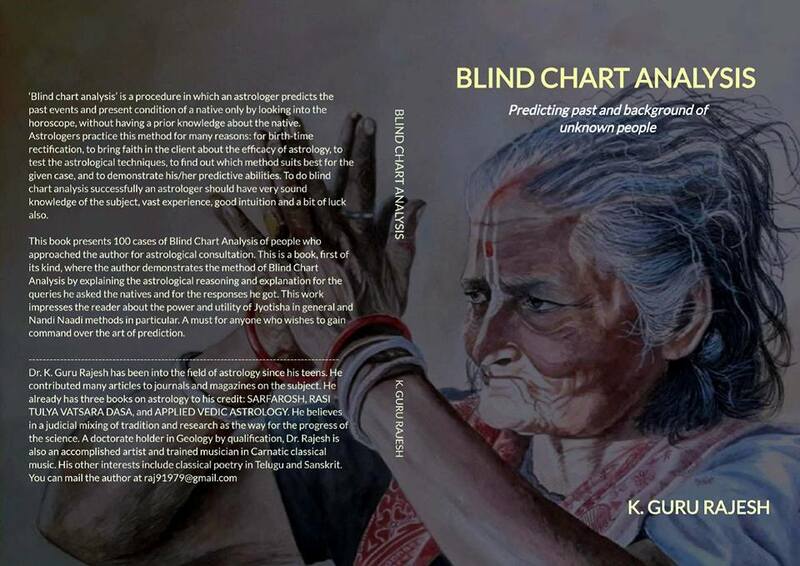 This book presents 100 cases of Blind Chart Analysis of people who have approached author for astrological consultation. 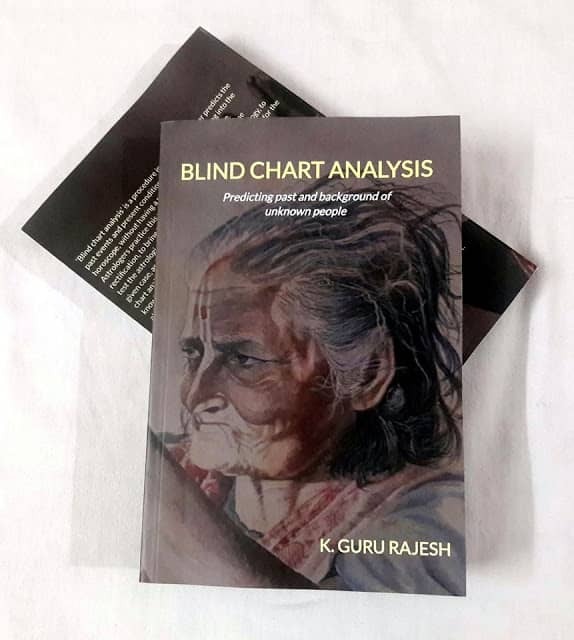 This is a book, first of its kind, where the method of Blind Chart Analysis is demonstrated by explaining the astrological reasoning and logic for the queries. This work impresses the reader about the power and utility of Jyotisha in general and Nandi Naadi methods in particular. It’s size is 6 inch by 9 inch, nearly 450 pages and price Rs. 550 + postage charges (Total Rs.620/-). If you are interested to purchase the book reply back to this email or fill this form.